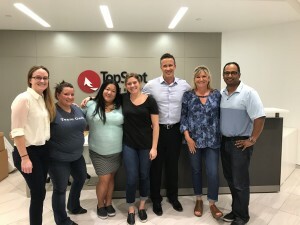 The YPE Houston Chapter, a 501c3 organization, along with TopSpot Internet Marketing, raised $63,290 to sponsor multiple Houston families that lost everything due to Hurricane Harvey. Using the online fundraising platform YouCaring, the campaign raised more than $35,000 in just one full week with the goal of raising $60,000 surpassed in two weeks. 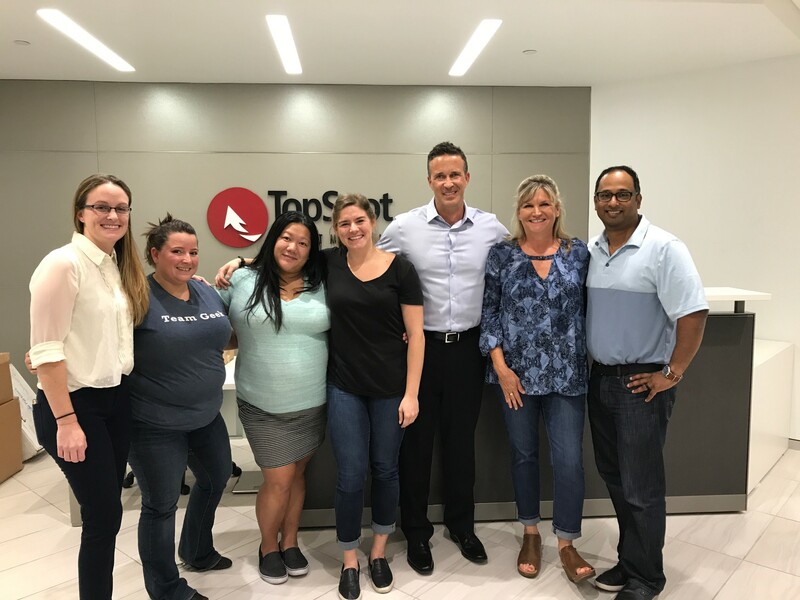 The goal of this fundraiser was to provide financial and moral support throughout the entire process with 100 percent of the funds raised given to the families or used to purchase supplies needed to help restore their homes and their lives. Thanks to the Greater Houston area and support of TopSpot’s clients across the US, we will contribute in this goal of rebuilding! Omar & Lacey Torres and their daughters, Peyton (5) and Dylan (2). 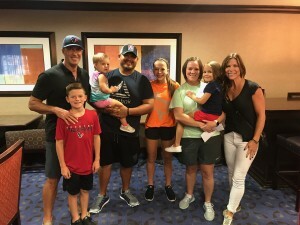 The Torres’ both teach in Katy, Texas and serve as coaches. Lacey is an 8th grade Science teacher and volleyball coach at McMeans Junior High. Omar, a former US Army Ranger with the 75th Ranger Regiment, has served multiple combat deployments to Iraq, Afghanistan and other locations around the world. He currently serves as the Assistant Athletic Coordinator, Head Football Coach, 7A Girls Basketball Coach and a Boys Track and Field Coach at Seven Lakes Junior High. Kara Peddicord is a retired schoolteacher and the mother of three daughters, Blaine, Kirby and TopSpot Team Member, Jordan Peddicord. Kara lost her home that she has lived in with her family for the last 29 years when the rising floodwaters in her neighborhood forced her to evacuate. With over four feet of water in their family home, Peddicord had no choice but to begin the rebuilding process. 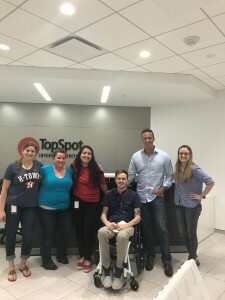 Christopher Sotelo suffered a spinal cord injury and became a C6 quadriplegic due to the injuries he sustained. Sotelo had recently moved out on his own for the first time since his accident when his apartment and his belongings were lost by the flood. Young Professionals in Energy (YPE) is a non-profit organization with more than 40,000 members worldwide. By providing a forum for networking and career development through social, educational and civic service opportunities, YPE aims to facilitate the advancement of young professionals in the global energy industry. YPE runs a year-round calendar of events in 40 chapters around the world. Please click here to see our calendar of upcoming events.